This text originated in the early 1990s and resulted in a book published in 2006 to highlight the need to have multi-issue initiatives to solve complex enviro-socio-economic problems. A single bullet will not solve problems! There are ISSUES that have to be addressed in every society ... in every human organization ... and in every system. Most times, an effective outcome in addressing an issue cannot be achieved by a single simple 'silver bullet' but requires system thinking and addressing many ISSUES in parallel. This was the theme of much of the thinking that preceded TVM in the 1990s and into the 2000s. Far too much of policy making during the past 50 years has attempted to solve a problem or an issue with a single issue focus and response. This might have worked in earlier times, but as the world has become more and more interconnected this approach is bound to fail. Take for example, the United Nations, which has a lot of deep expertise in its various specialized agencies all of which are organized on single sector lines. In the real world the problems overlap many sectors. This occurs at the country level and the need for multi-sector solutions persists down to every community in every country. The same organizational critique applies to many other organizations like, for example, the World Bank and most national governments as well as specialized companies in the private sector. 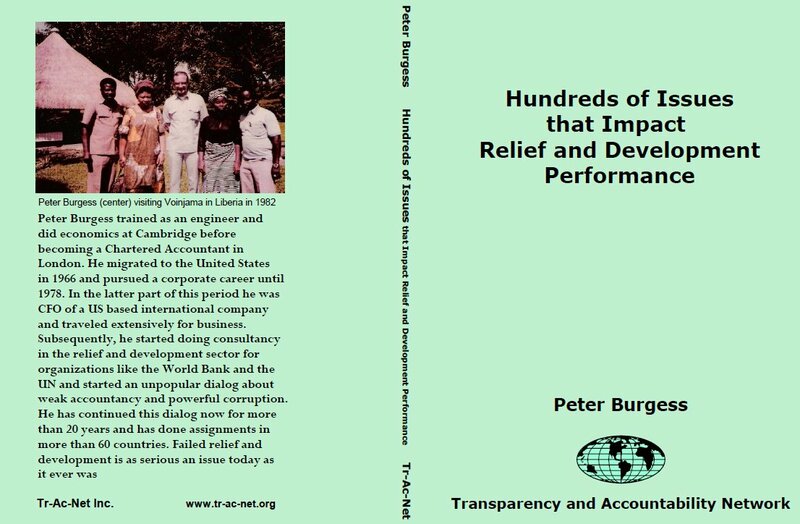 My work in international development and humanitarian assistance was successful when there was the opportunity to engage with multi-sector initiatives, but with single sector projects performance was almost always severely compromised.